Best4Video Zune Converter can be described as highly potent conversion device that provides easy, efficient, and reliable method to convert any kind of video or audio files for your Zune. This program supports wide range of common video file formats, including FLV, AVI, WMV, MKV, MP4, TiVo, etc. and provides speedy conversion in addition to wonderful output quality. With the assistance of Best4Video Zune Converter you can very easily convert your preferred movies or music for the Zune device. Best4Video Zune Converter is definitely a user friendly program using clear and convenient interface which makes it easy and also convenient to work with. Both video and audio conversions can be executed using just a couple of clicks, with no a need for making any additional configurations — all you need to do is to select one of the built-in Zune conversion profiles, and Best4Video Zune Converter will do everything else. Easy to use software: simple to install and easy to use. All kinds of movie and music conversions are executed very easily using a couple of mouse clicks. Variable output settings for obtaining best results: it is possible to select output format and quality according to you own demands and personal preferences. The changes that you make are shown in the image preview that gives the visual demonstration of the way the converted files will appear on your Zune. 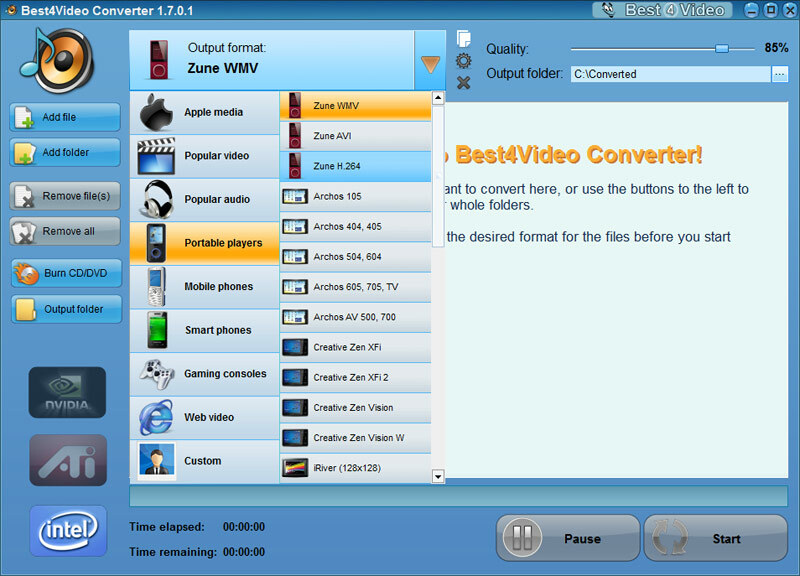 Extremely fast conversion: Best4Video Zune Converter substantially saves your time and efforts, providing optimum speed. Perfect quality: all video and audio files are converted with ideal quality for your Zune. 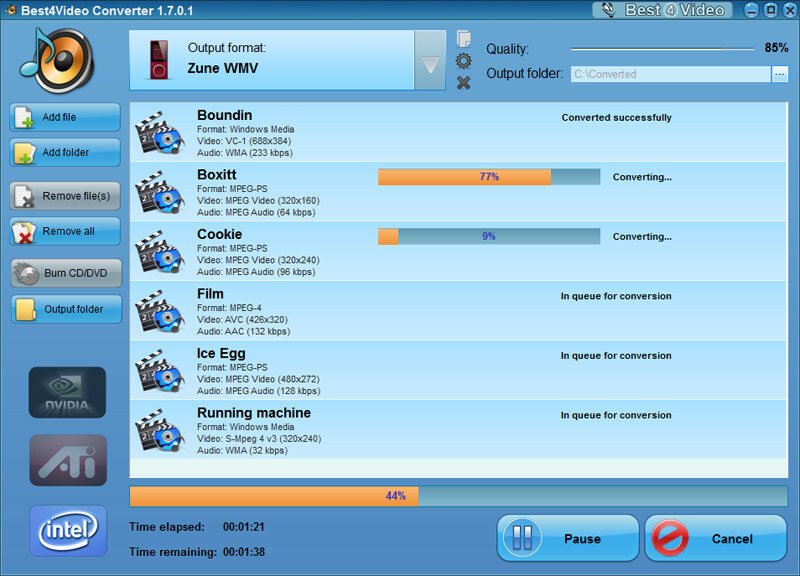 Batch conversion mode offering you to convert huge audio and movie collections quickly and easily. Best4Video Zune Converter was created specially to make movie and music conversions for your Zune accessible, quick, easy, and effortlessly done. No more need to bother yourself with all the difficulties of incompatibility between your media files and your preferred gadget — by using Best4Video Zune Converter you'll resolve those difficulties with just a few mouse clicks and enjoy your preferred audio and videos on your Zune. 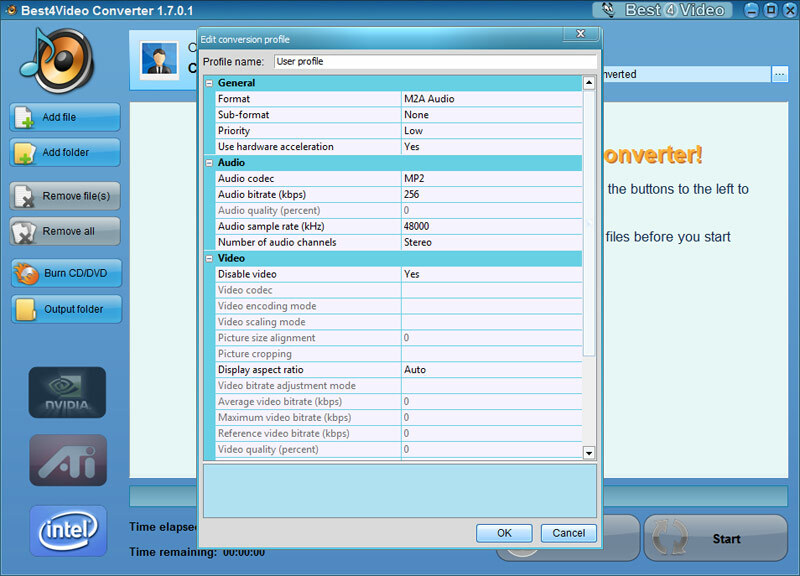 Mind of DVD Ripper tool which helps you to convert your DVDs to the most popular audio and video formats for the devices like: iPhone, iPod, iPad, iRiver, Sony Walkman, Android, Blackberry and others.